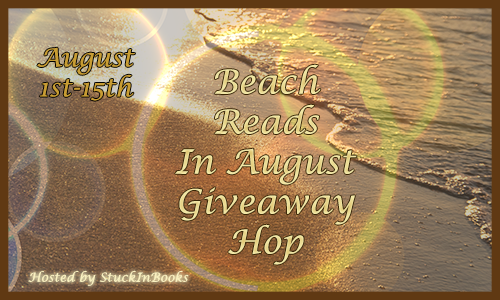 Welcome to my stop on the Beach Reads in August Giveaway Hop! This awesome hop is being hosted by the lovely Valerie from Stuck In Books! I honestly have never read a book at the beach. (Is that even what a "beach read" is?) LOL! Pretty crazy that I have been reading my entire life, blogging for almost 2 years and I still don't really know what that phrase means! Hmmm...maybe someone can explain it to me in the comments! SOOO for my giveaway, I chose a book that has the ocean as a major theme...you know...oceans have beaches = BEACH READ!! !